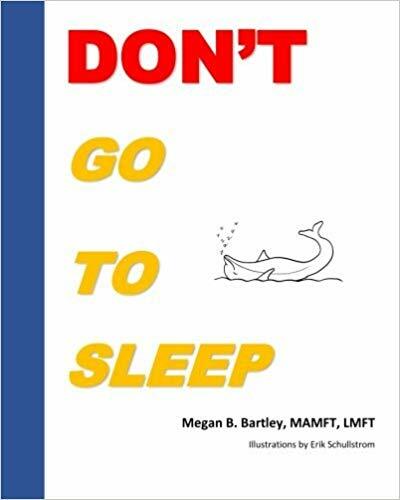 Don't Go To Sleep by Megan B. Bartley (with illustrations by Major League Baseball pitcher Erik Schullstrom) published July 30, 2018. 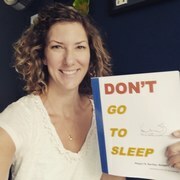 (PRLEAP.COM) Award-winning therapist, artist and parent, Megan Bayles Bartley launched Don't Go To Sleep (Yes & Publishing) offering parents, caregivers and children a fun and helpful way to prepare for sleep. The inspiration for this book came largely from Megan's personal life. 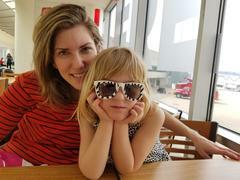 While struggling with her own daughter over bedtime, Megan experimented with a variety of techniques and therapies to help her daughter relax and fall asleep more easily. This effort culminated in a guided meditation that Megan eventually wrote down, and the result is this book. 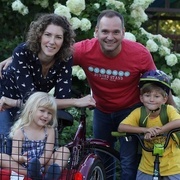 Talking with parents in her work as a licensed marriage and family therapist, Megan began to realize how many families were also struggling with bedtime challenges. "Hearing how many families had similar struggles around bedtime made me want to share what was working for our family," Megan explains … "Good quality sleep is so important for people of every age and if I can help other parents make bedtime a little less stressful, I'll consider my time making this book well spent." As most parents can attest, bedtime sleep struggles aren't uncommon. Researchers estimate that between 10 and 33% of children experience some type of sleep difficulty. Not only are sleep challenges frustrating for caregivers, but they can also negatively impact a child's health. For example, kids who do not get enough sleep are at higher risk of being overweight, developing diabetes, and having learning and attention problems. Megan's light and playful book combines multiple therapeutic and healing techniques to help kids let go of fears and worries that clog their minds at bedtime. It's also written in a way that's beneficial for both the child and the parent. This book naturally encourages parents to relax as they are reading the book with the thought that the child will follow their lead. Former Major League Baseball pitcher, Erik Schullstrom, illustrated the book. Schullstrom holds the Major League record of pitching 60 innings without recording a win or loss. The new children's book officially published July 30, 2018. Megan Bayles Bartley is available for media interviews and can be easily reach via her website www.MeganBaylesBartley.com or by phone: 502-509-9307. Self-described as an open-minded, supportive, direct, and balanced therapist, Megan enjoys incorporating mindfulness practices and meditation into her therapeutic practice. She offers therapeutic services in Austin, TX and in Louisville, KY focusing on marriage and couples counseling, successfully ending relationships, navigating change, and dealing with anger and grief. She also offers a variety of training programs to larger groups including mindfulness and meditation. Raised in Seattle WA, Megan graduated with a B.A. from the University of Washington, and the Louisville Presbyterian Theological Seminary where she earned a Master of Arts in Marriage and Family Therapy. When she isn't busy with her work as a therapist, she also enjoys painting, practicing yoga, writing and spending time with her husband and two children. For additional information about Megan, or to purchase her book, visit her website: www.MeganBaylesBartley.com.